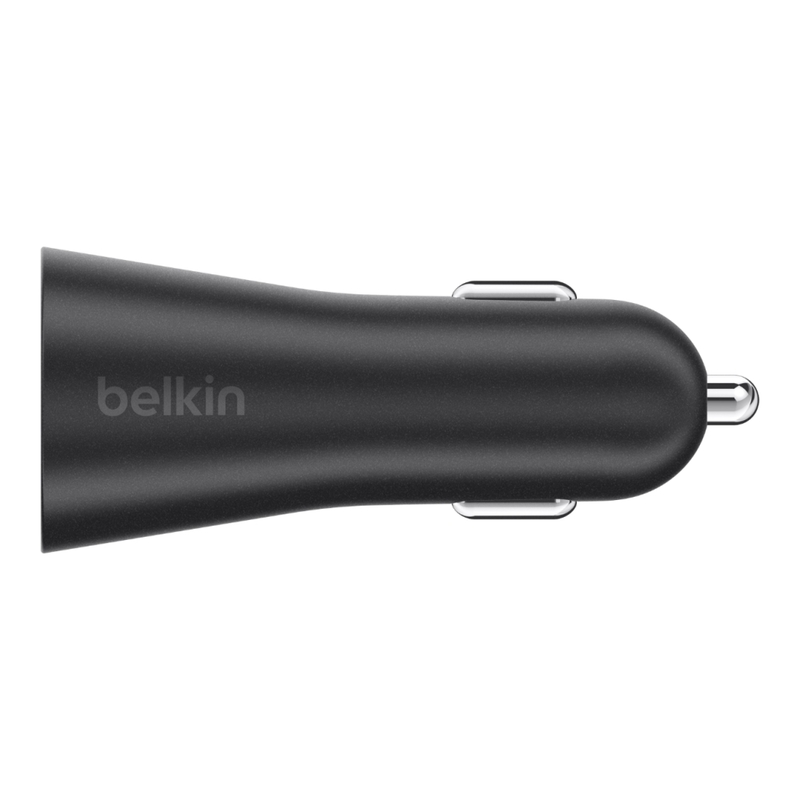 Keep devices charged while you're on the go with the Belkin BOOST↑UP 2-Port Car Charger + USB-A to USB-C Cable. 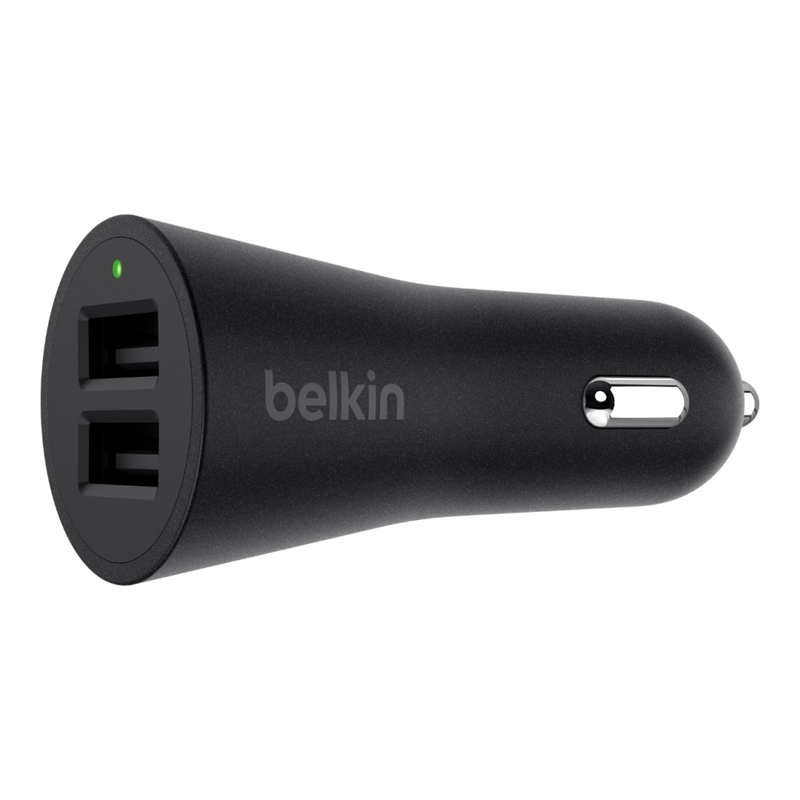 This sleek, compact car charger features dual USB-A ports that let you charge up to two devices simultaneously and delivers a 24 watt/4.8 amp total output to power devices quickly and safely. The charger's universal compatibility allows you to charge phones, tablets, smartwatches, and other devices, while a built-in LED light lets you know when connected devices are charging. The included 4-foot Belkin MIXIT↑ USB-A to USB-C Cable offers considerable reach, so even backseat passengers can power up. 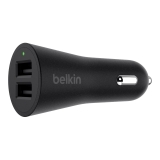 The BOOST↑UP 2-Port Car Charger comes with a 4-foot Belkin MIXIT↑ USB-A to USB-C Cable that can reach even backseat passengers. 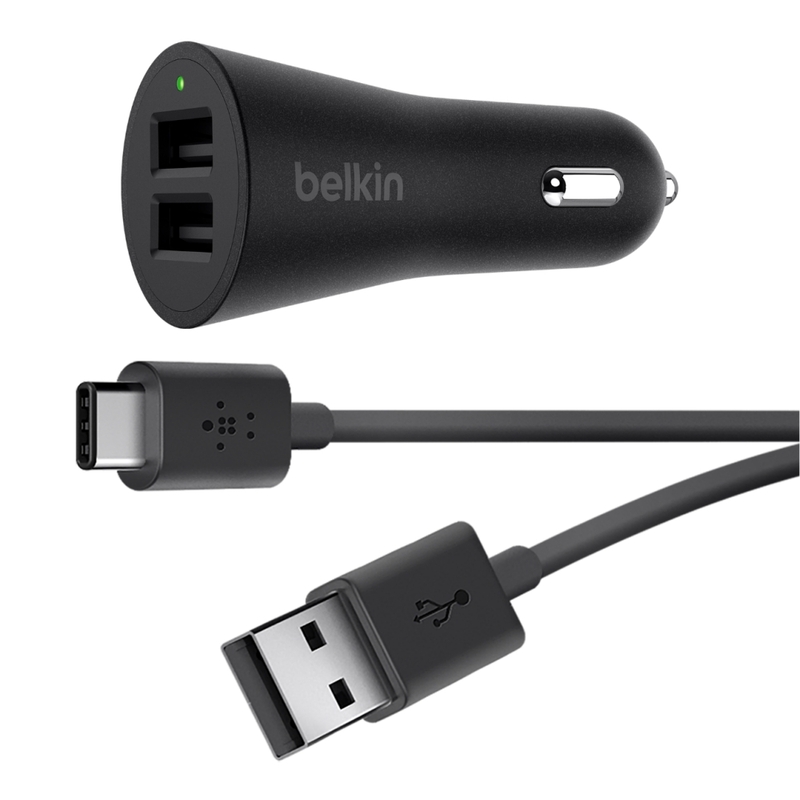 Easily detach the cable from the car charger and use it to sync music and photos between your devices and computer at transfer speeds of up to 480 Mbps. 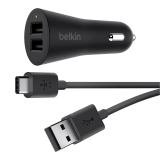 *Belkin will repair or replace electronic devices damaged by an electrical charge while properly connected to this charger, up to $2,500. 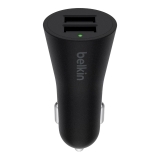 Visit belkin.com/cew for details.